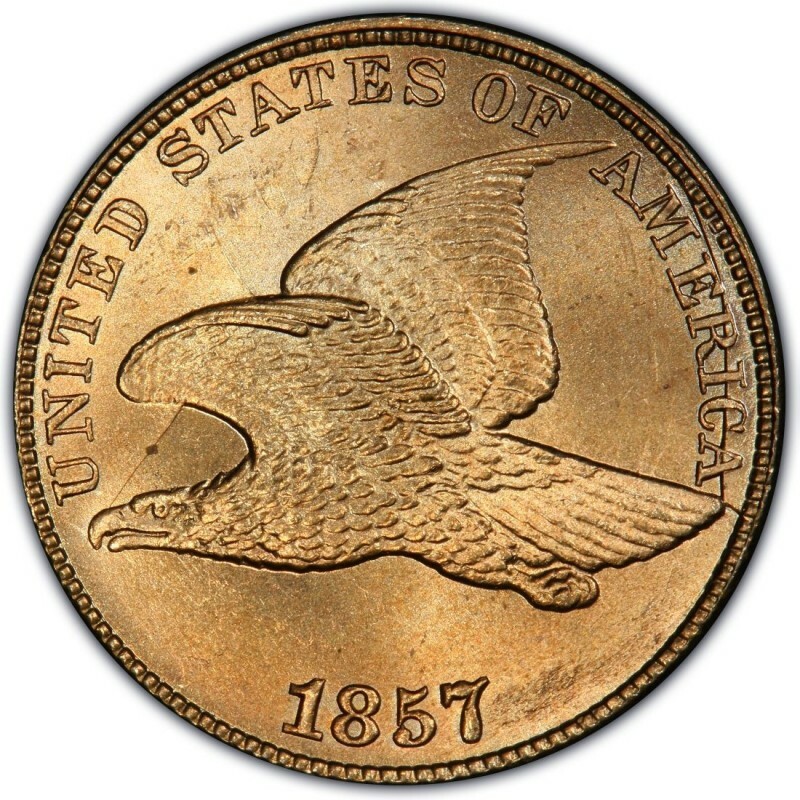 1857 Flying Eagle cents were designed by James B. Longacre and debuted during the same year that their much larger cousin, the large cent, bowed its way off the U.S. Mint production line. Actually, 1857 Flying Eagle pennies aren’t the first small cents ever made. That honor belongs to the 1856 Flying Eagle cent. However, the 1,000 or so Flying Eagle pennies that were made in 1856 served as patterns and weren’t authorized as an official U.S. Mint issue. These pieces aren’t only highly rare, but they’re also not normally collected as part of the Flying Eagle and Indian Head penny sets, which consist of one-cent coins made from 1857 through 1909. The 1857 Flying Eagle cent is made from copper-nickel and was struck to the tune of 17,450,000 pieces, with 485 additional proof strikes. Because the Flying Eagle cent is often collected as a type coin and was minted as an authorized issue for only two years, many coin collectors descend on the 1857 Flying Eagle cent and its 1858 counterpart. Today, a circulated 1857 Flying Eagle penny grading is worth around $30, and uncirculated pieces are worth around $450 and up. Proof specimens of the 1857 penny are exceedingly rare and have a value of $30,000. 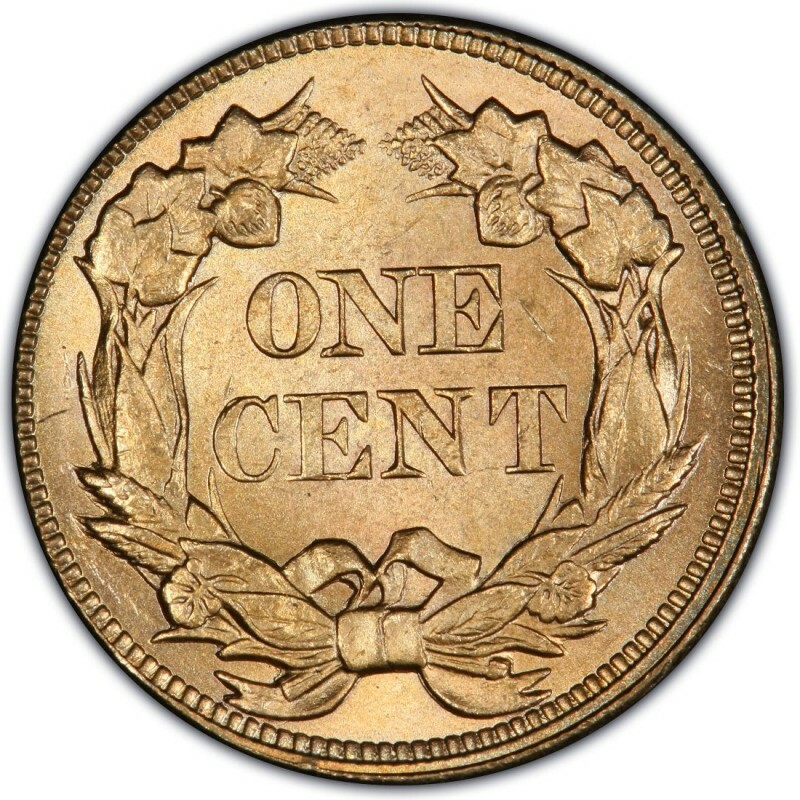 As with all 1856 Flying Eagle pennies, any 1857 penny in the higher grades should be purchased as a certified and authenticated specimen, since replicas and counterfeits of these early small cents are rampant.